Do you sleep eight hours a night? If so, that means you are spending four months each year lying on your mattress. Despite the amount of time we spend in bed, most people don't put a lot of thought into whether the mattress needs cleaning. If they do think about it, they may not know the best way to clean their mattress without damaging it. When unpleasant odors, stains, and allergens build up, your bed may not be so restful anymore. Shouldn't your mattress be as clean as the rest of your home? DC Carpet Cleaning makes sleeping pleasant again with our mattress cleaning service. Not only do we remove stains, we treat the source of the stain to get rid of odors and bacteria. And our thorough cleaning removes the dust, dust mites, pet dander, and other allergens that have penetrated the mattress cover and entered your mattress. Take a minute to think about what kinds of things come in contact with your sheets. All kinds of bodily fluids, including sweat, blood, and urine, that can seep through the sheets and stain your mattress. Your skin is constantly shedding dead skin flakes, a feast for the dust mites that live in your mattress and comforter. Even mattress covers that are supposed to keep out dust mites and other allergens and protect your mattress from stains and spills just don't do as good a job as you'd hope. If you wake up from a restless night with a stuffy nose or sinus pressure, you could have a dust mite allergy. You owe it to yourself to get a better night's sleep. Mattress deodorizing leaves your mattress with a clean, fresh scent. DC Carpet Cleaning is working in your neighborhood! We help customers every day in areas like Dupont Circle, Georgetown, Adams Morgan, NoMa, Marshall Heights, the Southwest Waterfront, Anacostia, Columbia Heights, Chinatown, and Kenilworth, Arlington, Chevy Chase, and Bethesda. Since we are locally-based, you can get the cleaning you need, when you need it. 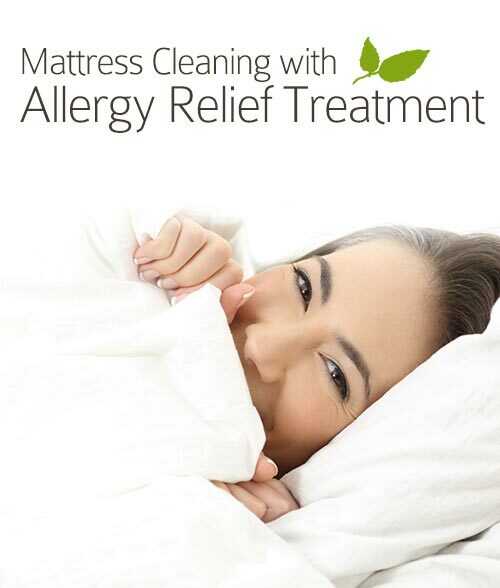 We recommend that allergy and asthma sufferers have their mattresses cleaned every six months as an important part of their asthma or allergy management plan. Get a $10 off on mattress cleaning! Our technicians take the best care of your mattress. Call our office today at 202-683-4270 for your free, no-obligation estimate. Proudly serving DC and the VA and MD suburbs.